The company behind the awards is APD Communications, which develops critical, life-saving software used by the police and other emergency services organisations across the country, as well as transport and aviation operators nationally and internationally. Leading tech company telent Technology Services is the Platinum Partner of the awards, with pioneering technology companies Sopra Steria and Seed Software as Bronze Sponsors. British APCO and International Critical Control Rooms Alliance (ICCRA) are backing the awards, while critical communications data capture, storage and analysis specialist Red Box Recorders is sponsoring the Team of the Year award. 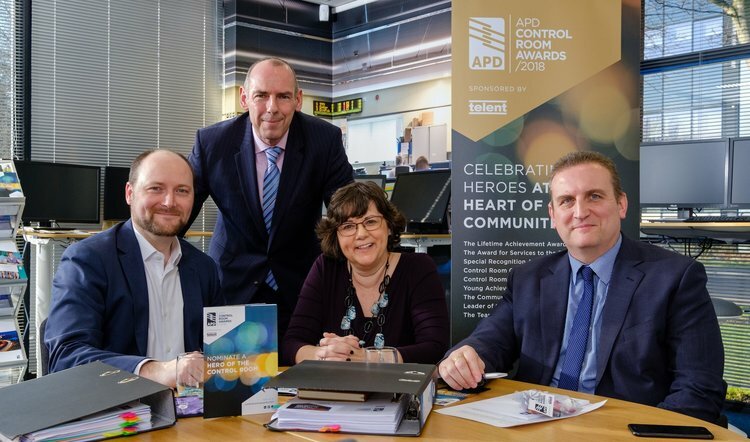 APD Managing Director Mike Isherwood said: “As these are the inaugural Control Room Awards, we didn’t quite know what to expect and we have been absolutely bowled over by the tremendous response. We want to thank every individual and organisation that has submitted nominations. “The entries have been truly extraordinary – I don’t mind saying I shed a few tears when reading quite a few of them. Selecting the finalists has been a challenging and humbling experience. Barry Zielinski, telent’s General Manager, Public Safety & Defence, said: “telent is truly honoured to be the Platinum Partner of these prestigious awards. “It has been a privilege to review all the nominations and, as we suspected, it has proven to be a very difficult process to select the shortlists from so many amazing entries. The APD Control Rooms Awards finanlists can be seen at Control Room Awards.